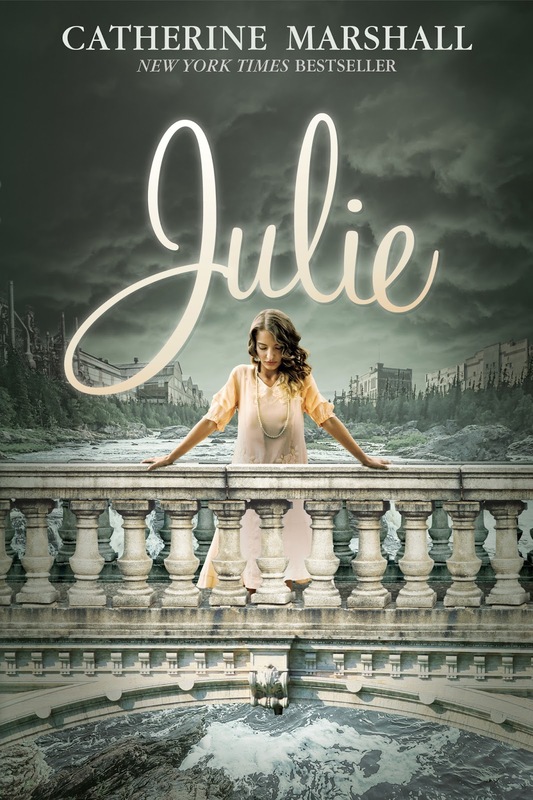 Veronica's 'Views: Giveaway and Review of Classic 'Julie' by Catherine Marshall! Book reviews, mostly of Christian fiction, some classics, and nonfiction. Giveaway and Review of Classic 'Julie' by Catherine Marshall! This book had a slow start for me and took me quite a while to get into it. I read 'Christy' years before and remember liking it so I was surprised at my reaction to 'Julie.' It was interesting to me that both books were based on real people, Christy being based on Catherine's mom and Julie somewhat on Catherine's experiences as an eighteen-year-old. I admired a lot about the character of Julie, that she did the right thing even when it was hard and that she was such a hard worker with no pay as she helped her dad make a go of the paper, all while going to high school. There were some hard situations described in the book, from the effects of the tragedy to facts Julie found out about what some workers and their families went through who were trying to form a union and how their employers treated them. I learned a lot about the fight to unionize and how resistant so many companies were. I also learned a lot about the newspaper business and dams. In some ways, Julie seemed very mature and in others, not so much. She seemed very confused about which man she was interested in and I thought was a bit flaky that way. There were some romantic moments. I liked that she probed for answers; she wasn't afraid to ask hard questions, even if she might not like what she found. She was searching for a meaningful faith, trying to understand her parents' faith and her own. I really liked that, ultimately, each character had to decide for themselves what was right and wrong and how much of a stand they would take for right. Would you stay true to your convictions if you lost everything? It made me think about what I would do in that situation and made me hope that my convictions and faith in God were strong. I really liked the latter part of the book and would recommend it if these topics interest you. I received this book free from JustRead Publicity in exchange for an honest review. Thanks for joining the tour! Thank you for sharing your thoughts! I read this one years ago (as well as Christy) and am looking forward to reading it again. Thank you for your review. Thanks for your comment! I hope you enjoy it again! 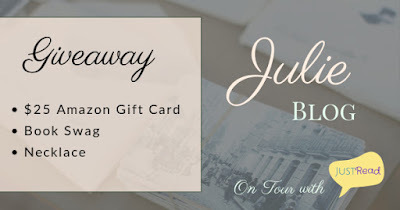 Thank you for your honest review on "Julie" by Catherine Marshall and for being part of the Reissue Celebration Blog Tour with JustRead Publicity Tours. Love the cover and can't wait for the opportunity to read the book. It is a great cover! Thanks for commenting! Thank you for your honest review. The cover is gorgeous. I look forward to reading Julie. Thanks for commenting! I hope you enjoy it! thank you for your review. i just love this cover. it really says so much. in my experience, some girls that age can really be flaky. on my to read list. Thanks for the comment. I agree it can be a flaky age; I just thought Julie was more sensible than that, lol! Thanks for commenting again. It was very eye-opening!